Sometimes I want to buy something which isn’t brand new – I like the idea of my furniture or bag having a story of its own before starting a one with me. When searching old furniture I’ll go to Fasaani Antiikki. It is not a fancy antique store but lots of fun (I’ll write about that sometimes later). When wanting to buy something smaller than furniture “Hietalahden Kirppis” as Flea Market of Hietalahti is often called, is perfect place. You can find clothes, books, music, tableware… you name it. Usually the items sold in Hietsun kirppis are really something not needed anymore (not some new crappy stuff like sometimes when I’ve tried to find a flea market in Europe), and most of the people selling stuff are just normal Helsinkians wanting to get rid of extra stuff. You can sometimes do really good bargain! During the weekends Hietalahden Kirppis is one of the liveliest flea markets in Helsinki. I’ve no idea for how long Hietalahden Kirppis has existed. First time I was selling there was in 1990s. Back then it was a bit different – there were ordinary Finns like me selling old stuff but among us there were our (back then) poor neighbours (Russians) selling cigarettes and vodka. Nowadays we can thank for Russians having some luxury stores in Helsinki (I guess we wouldn’t have any without our neighbours) – times change. Today Hietsun kirppis is mixture of vintage, some outdated “gramma clothes”, records and (not authentic) pieces of jewellery. 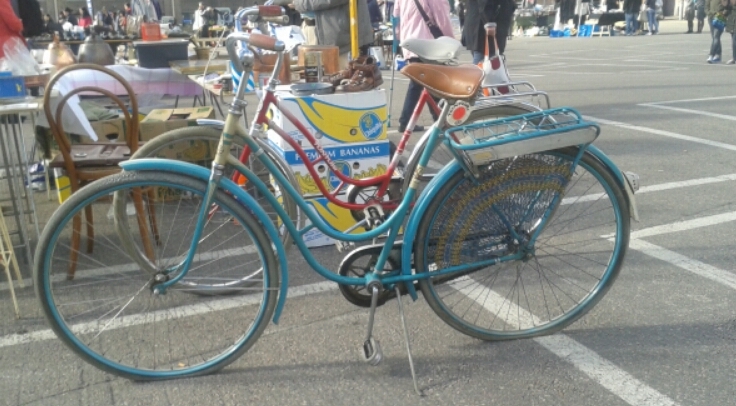 If lucky (and you really want to find), you can find almost whatsoever from bikes to perfect fishing equipment. People selling and buying are everyone from next door neighbor to single mother trying to find cheap clothes. You can also see stylish bloggers and some Finnish celebrities looking for something unique. If you get hungry, I recommend visiting nearby Hietalahden Kauppahalli (unfortuntately closed on Sundays) where you can buy delicious lunch. Marjo or me will write more of that sooner or later, I promise. 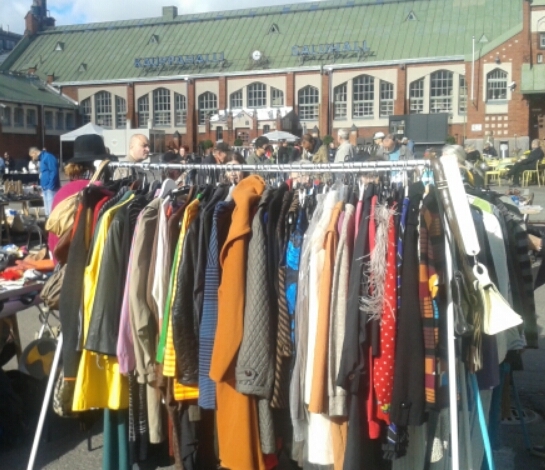 How to find Flea Market of Hietalahti? The address is Bulevardi 42. It is a 10 minutes walk from Railway Station or Stockmann which both are considered to be “the downtown” of Helsinki. If tired, you can take tram 6 next to Stockmann heading south and you will be very fast at the flea market. And a small warning – during winter times Hietalahti Flea Market is usually closed.